Tonight, Fujifilm announces the twelfth lens for their X-Series mirrorless camera line. The new XF 56mm f/1.2 R prime is equivalent to 85mm in the 35mm / full-frame format, a traditional focal length for portrait photographers. Combine that with the shallow depth-of-field from the huge f/1.2 maximum aperture, and the new XF 56mm f/1.2 R is the perfect lens for serious Fujifilm X-Series portrait shooters. One thing that sets Fujifilm’s X-Series mirrorless camera system apart from the rest is their excellent lenses. 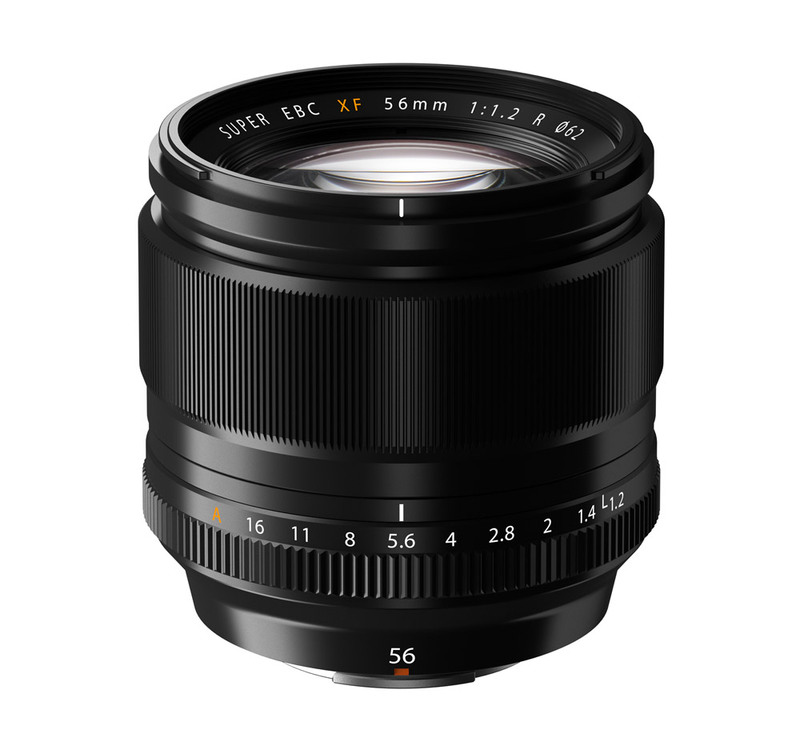 With two ED elements and a double-sided aspherical element, new XF 56mm f/1.2 prime fits right in with that high standard. It’s also compatible with Fujifilm’s new Lens Modulation Optimizer (LMO) feature, which uses the camera’s image processing system to minimize diffraction and edge softness. So, mounted on the new X-E2 camera body (learn more about the Fujifilm X-E2) the XF 56mm f/1.2 should exhibit an even higher level of performance. The Fujifilm XF 56mm f/1.2 R lens is scheduled to be available next month – February, 2014. The suggested retail price is US $999.95.